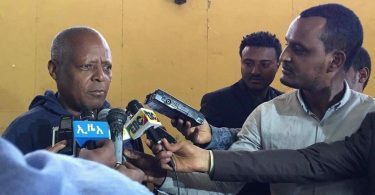 (OPride) — After more than a year of unjust imprisonment, on Wednesday, Jan. 17, prominent Oromo opposition leader Merera Gudina was freed from Kaliti prison on the outskirts of Ethiopia’s capital, Addis Ababa. He was welcomed home with much fanfare and celebrations in his hometown of Burayu where hundreds of supporters and well-wishers were gathered. Some painted streets red, black and white, the colors of the Oromo Gadaa flag, and chanted anti-government slogans. A bull was slaughtered to commemorate Merera’s release. Merera’s imprisonment in December 2016 provoked the ire of a country, especially among the Oromo, the largest ethnic group in Ethiopia that Merera’s party represents. During the Oromo protests, Merera was soughtafter for media inquiries from around the world. He was straightforward and blunt about the causes and solutions for the unprecedented rage that was roiling the country. During the 13 months he was in jail, Ethiopians at home and abroad lobbied for his release. A lifelong champion of democracy and unifying voice, Merera has been the face of Ethiopian opposition over the past two decades and a half. The ruling Ethiopian People’s Revolutionary Democratic Front (EPRDF) came to power on the back of an armed rebellion in 1991. Over the last 26 years, the EPRDF regime has made a name for itself arresting journalists, opposition leaders, outspoken critics, and demonstrators, often on trumped-up charges. Detainees are routinely tortured. Those released tend to spend the rest of their lives nursing psychological and physical scars. Many simply go into exile. Merera spent much of 2017 charges ranging from inciting protests to conspiracy to overthrow the constitutional order. A year of sporadic court appearances got him nowhere, but he always insisted that “my people will free me.” Even a few weeks ago, his immediate release didn’t seem forthcoming. Then, on January 3, Prime Minister Hailemariam Desalegn caused a media frenzy with a surprise announcement. His press conference left many questions unanswered but it was clear that the release of some political party members was in the works. Merera, and his colleagues in the Oromo Federalist Congress, including Bekele Gerba, the party’s deputy chairman, were universally expected to be released. The projected release date of Ethiopian Christmas (January 7th) came and went without any freedom for the detainees or relief for their families. The last few weeks proved even torturous for the families as Ethiopia’s leaders continued to contradict themselves and send mixed signals. The government still refuses to say exactly who and how many prisoners would be released and when the next batch of clemency will be issued. The lack of answers will continue to be excruciating for loved ones waiting to learn about the fate of their jailed relatives. There may not be further updates from authorities for another few weeks. The media portrayed the start of 2018 as a new day in Ethiopia with an apologetic government seeking to make amends with a seething populace. But there are still reasons to be more cautious. 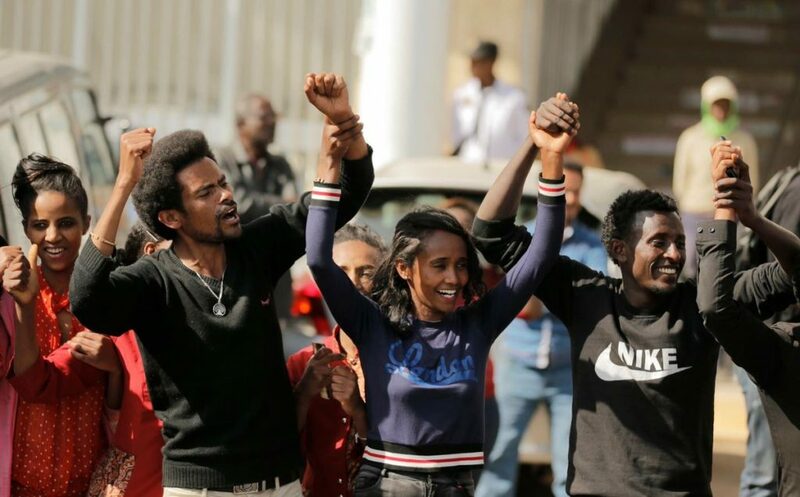 On January 16, Ethiopia’s Attorney General Getachew Ambaye announced charges against 115 federal prisoners had been “dropped.” He didn’t specify who the prisoners were but he laid out the preconditions for the planned pardon. First, the individual had to be found to have not violated the constitution. Two, the prisoner had to have not taken part in activities that damaged infrastructure and hampered economic development. And finally, the individual had to have not been charged with murder or causing grievous bodily harm. The announcement dampened public hopes. There was never any doubt that Merera, Bekele and many of the thousands currently languishing in jail physically attacked people or rioted and destroyed public property. 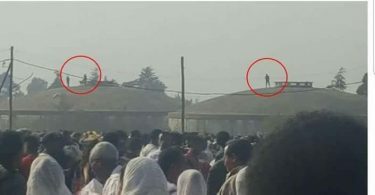 After all, in Ethiopia, the mere act of criticizing the government on Facebook can get one arrested and charged with terrorism or a conspiracy to topple the government. That is exactly what happened to former Blue Party official Yonathan Tesfaye who was arrested in December of 2015 and later sentenced to six years in prison. In fact, regardless of their actual offenses, nearly all political prisoners in Ethiopia are accused of some kind of acts that defile the constitution. In that context, it appeared that the criteria would disqualify Merera and all of his colleagues from pardon. Few, if any, of the detainees who are considered political prisoners, would be eligible for release under the terms laid out by the Attorney General. So, many were left asking: Who exactly would be eligible for release? A day later, a ray of hope. The state-affiliated Fana Broadcasting Corporate first reported all charges against Merera and 114 other prisoners have been dropped and that they would be released today. This claim was further substantiated in a Facebook post by the US Embassy in Addis Ababa which said it was aware of imminent releases. Finally, after an interminable wait, Addis Standard reported that Merera had left the prison ward and that he was on his way home. Ethiopian social media was in a rare celebratory uproar as images of Merera made the rounds on Facebook and Twitter. Throngs of ecstatic supporters in Burayu cheered and chanted at the sight of the man. The residents of Burayu, a town 15 kms outside of Addis Ababa, have not had much to celebrate in recent years. It was the epicenter of the Oromo protest movement throughout the 2015 and 2016. The town’s residents clashed with federal troops on several occasions. Like all Oromia towns, tens of protesters and dissidents were arrested from Burayu. 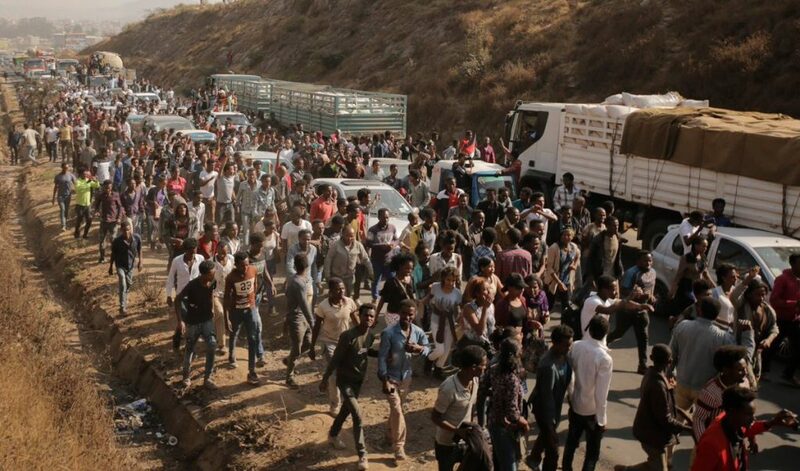 The much-maligned Addis Ababa Master Plan, which sought to widen the capital city and envelope surrounding Oromo towns, would have swallowed up the city of Burayu and displaced its rural inhabitants into the wilderness. It took mass detentions and hundreds of deaths across Oromia, including Burayu, to force the plan’s cancellation. Nevertheless, after a miserable couple of years, Burayu was the scene of euphoric celebrations on Wednesday as its beloved and most prominent resident returned home. Merera spent his entire adult life fighting authoritarianism in Ethiopia. As a schoolboy in his birthplace of Ambo in the 1970s, he was part of the student movement that brought about the overthrow of the imperial monarchy and an end to the rule of Emperor Haile Selassie. Haile Selassie’s successor, the communist Derg regime, turned the country into an autocracy, purging opponents in the thousands. Merera’s university studies were interrupted as he was hauled to prison where he spent 7 years for opposing the Derg. Merera later joined the Addis Ababa University in 1986 and became a professor of political science. 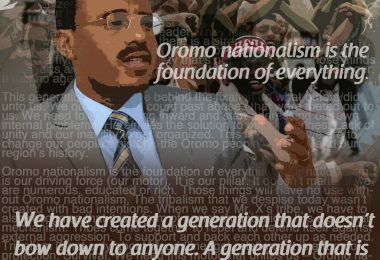 In 1996, he founded the Oromo National Congress (ONC), which later merged with another party to become OFC. He continued to criticize the EPRDF government’s autocratic practices and push for a peaceful political struggle. 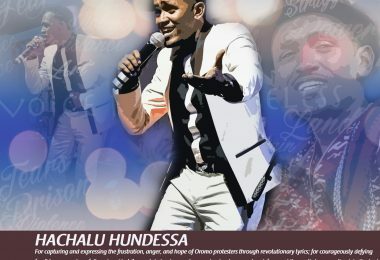 He unsuccessfully challenged Addis Ababa University in court for wrongful termination all the while campaigning and organizing political rallies across the country. Merera’s OFC is part of Medrek, a coalition of several political parties which run as a block against EPRDF in both the 2010 and 2015 national elections. The Irreecha Massacre in Bishoftu was by far the single worst atrocity in recent memory. On October 2, 2016, hundreds were killed in a stampede when hundreds of thousands of panicked festival goers attempted to flee from gunfire unleashed by federal security forces. State and international media reported 55 deaths, but a team of OFC factfinders put the death toll at 678 citing hospital sources. It underscored the true extent of the horrors of that day. Weeks later, Merera took part in a state-sponsored political forum in which members of both the ruling party and the opposition deliberated on the future of the country. He used his brief segment to slam the government’s handling of the uprisings that rocked Ethiopia since 2014. After a three-week trip to Europe in which he met with European lawmakers and discussed the woes facing the country, Merera was picked up from his home the same day he returned to the country. He was arrested in part for being seen with members of “banned terrorist groups and anti-peace elements,” clearly alluding to a photograph in which he was seen sitting with both Ginbot 7 leader, Birhanu Nega, and Rio Olympic silver medalist, Feyisa Lelisa. Merera’s imprisonment began with a solitary confinement. His first contact with family members and his lawyer came two weeks after he was first arrested. He was brought into the visitation area to meet with his lawyer — handcuffed. Given his advanced age and a known health condition, his supporters feared for his health and well being. On Wednesday, Merera walked out of prison standing tall. He doesn’t appear to have slowed down much. Without skipping a beat, he has already hosted reporters and his convictions haven’t waned in the slightest. Let us now proceed to ask WHY Dr. Merera was jailed, shall we?